Paula attended MATC for the veterinary technician program and then got her bachelors degree in medical administration in 2017. 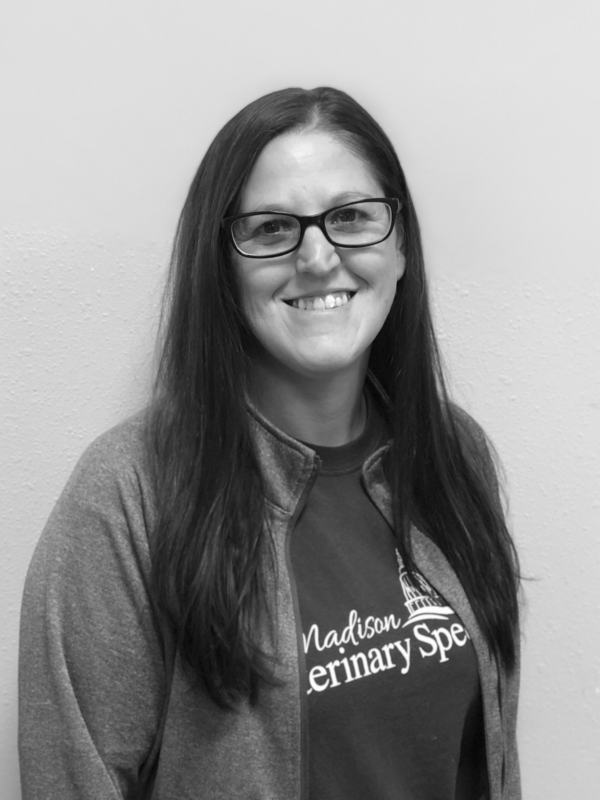 Before she joined the MVS team in June 2018, she worked at the Columbia County Humane Society for 15 years. Paula lives in Reedsburg with her four kitties, Kola, Grady, Silver and Moe Moe. When she’s not helping animals, Paula spends her time with her two girls who are 8 and 5 years old. She grew up around stock car racing, and says on the weekends you can find her at the race track!